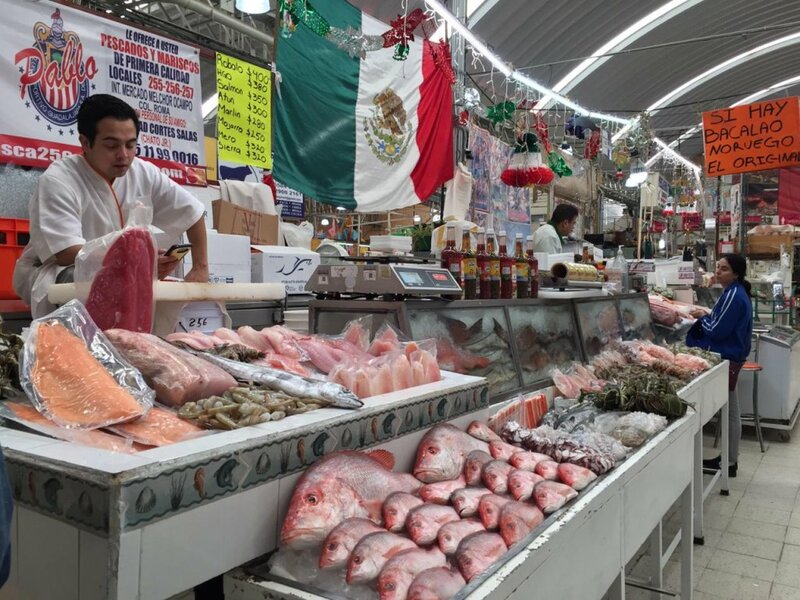 Many nationalities coexist within the Aztec capital. 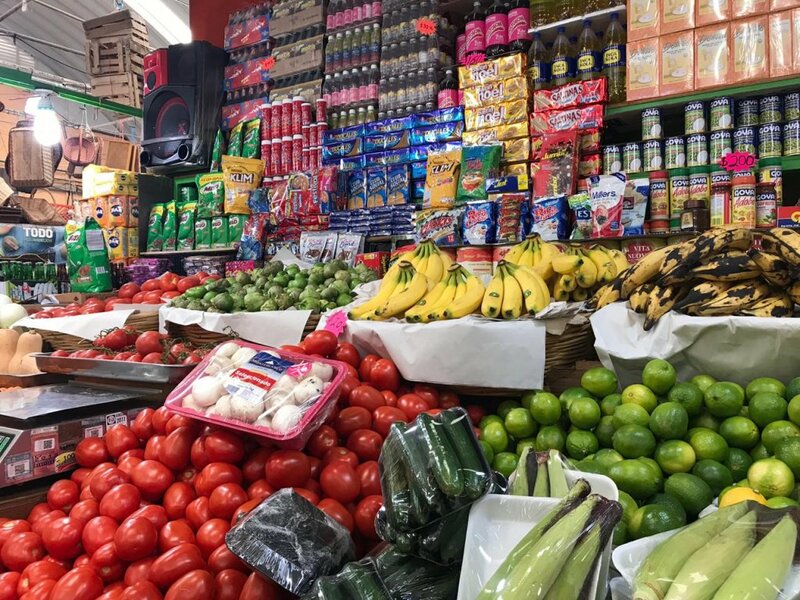 We wanted to discover where Colombians, Venezuelans, Brazilians and other Latin Americans go when they want to get ingredients of their traditional dishes. 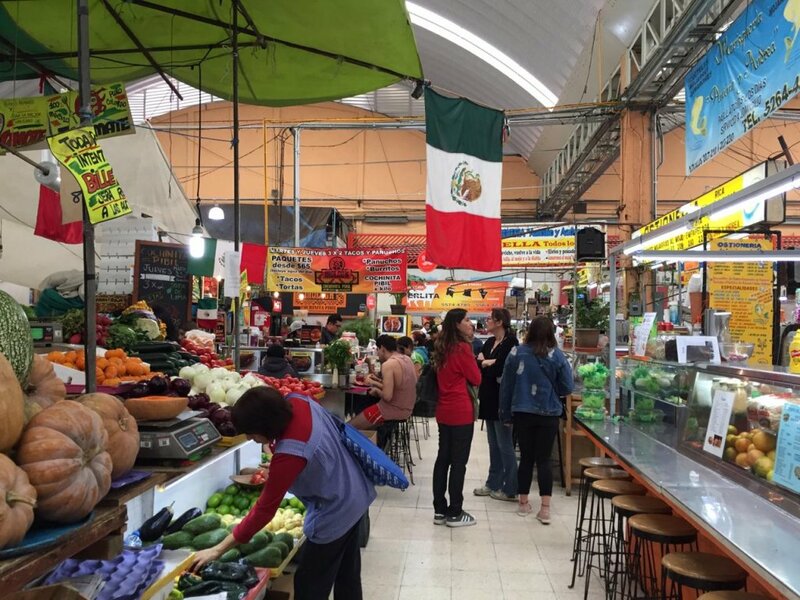 The Colonia Roma is one of the most diverse and vibrant sectors of Mexico City, very close to downtown and the bohemian neighborhood Condesa. 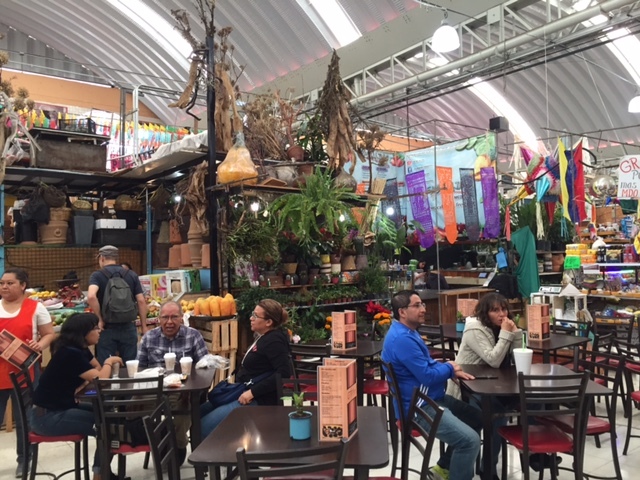 This area boasts one of the most important places for foreign residents: the Mercado Medellín, which in addition to filling the area with color and life, encloses the secrets and flavors of Latin American cuisine. 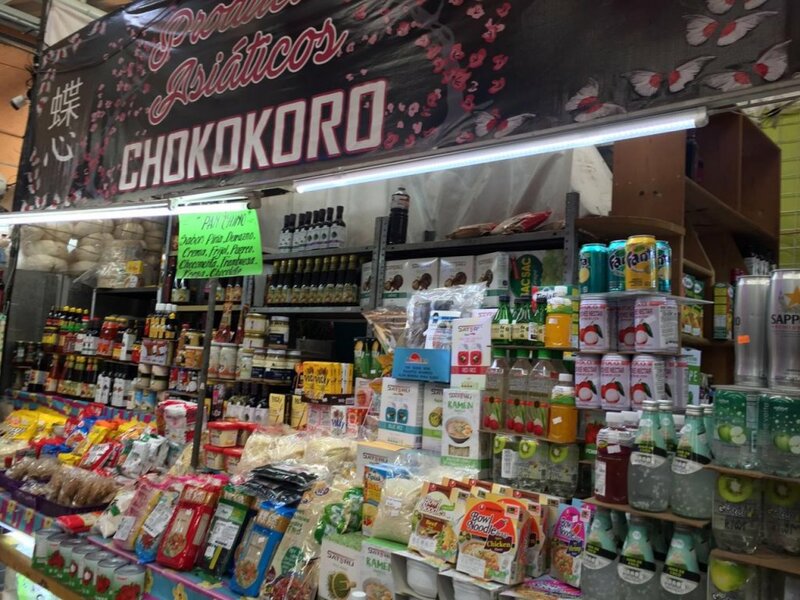 If you pass through Medellín Street and do not enter this market, you will regret it. In the façade, a large multicolor graffiti wall receives you and, in some ways, anticipates what you will find inside. 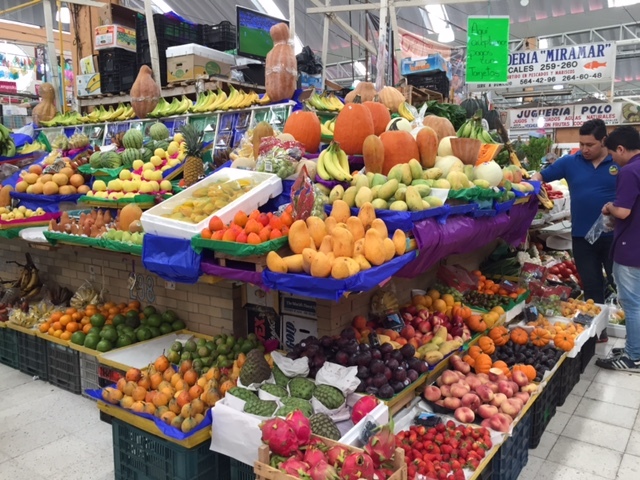 This market is one of the most traditional in the city and has a long history of more than 100 years. Its first structure was made of wood and dates back to the late nineteenth century, the presidential period of Benito Juárez. The building that we know today opened its doors in 1964, being administered by Jews. 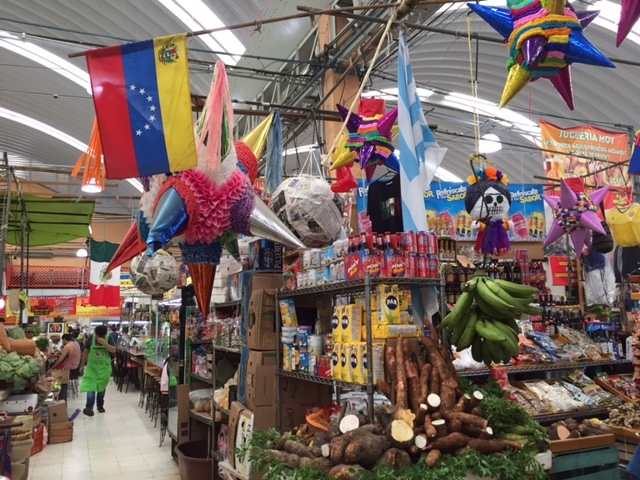 After the 1985 earthquake, when its roof collapsed, they left the place that was quickly occupied by Latin American merchants. 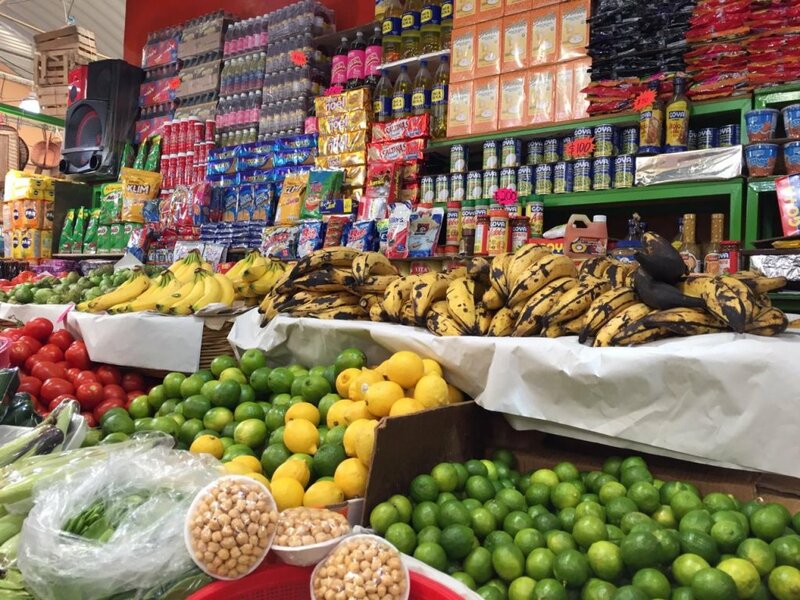 With more than 500 stores, this space offers national and typical products of any market such as fruits, flowers, piñatas, food products, grains, soft drinks, chocolates, meats, sauces, sweets, kitchenware and clothing. 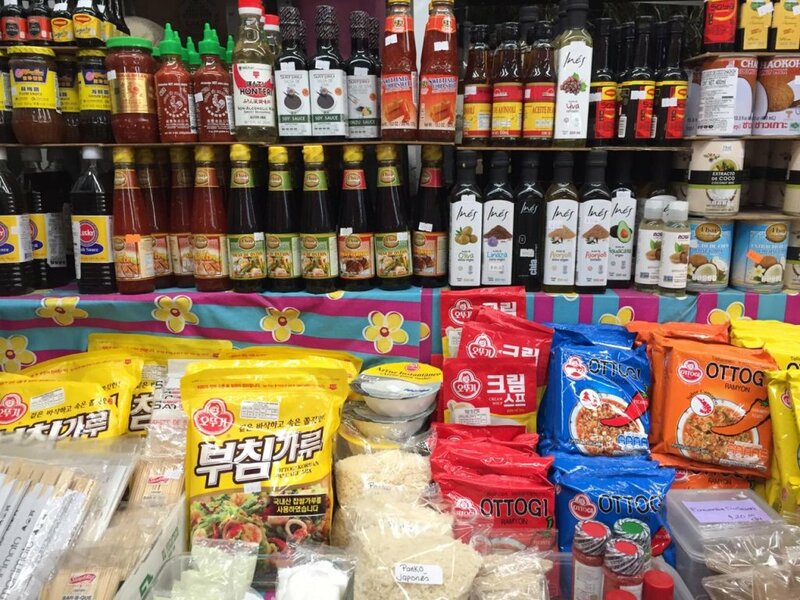 But also, it specializes in selling products and foods from different countries. 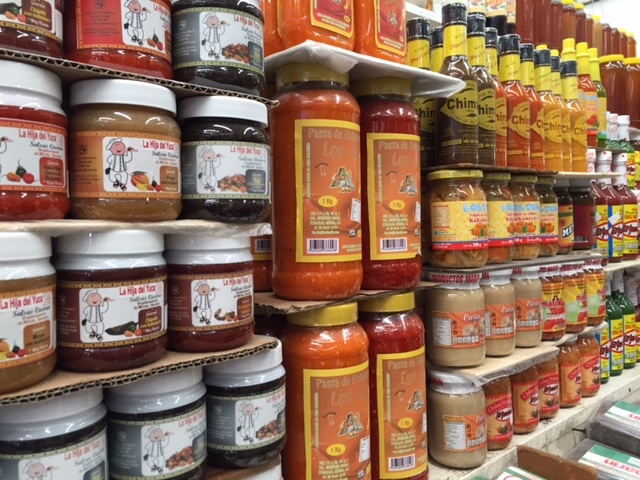 Even those ingredients hard to find in other markets in the city. 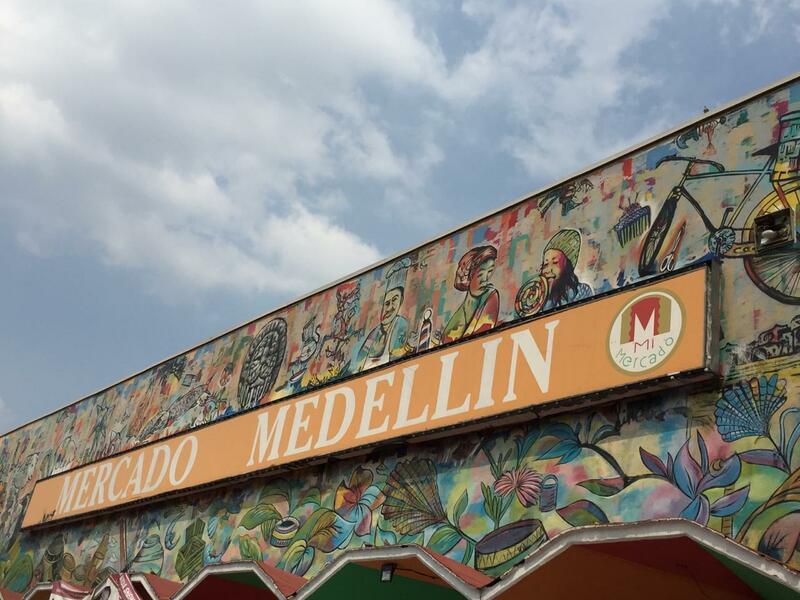 This makes Mercado Medellín an unmissable destination – and very valuable – for foreigners who want to prepare a traditional dish of their country with authentic ingredients. 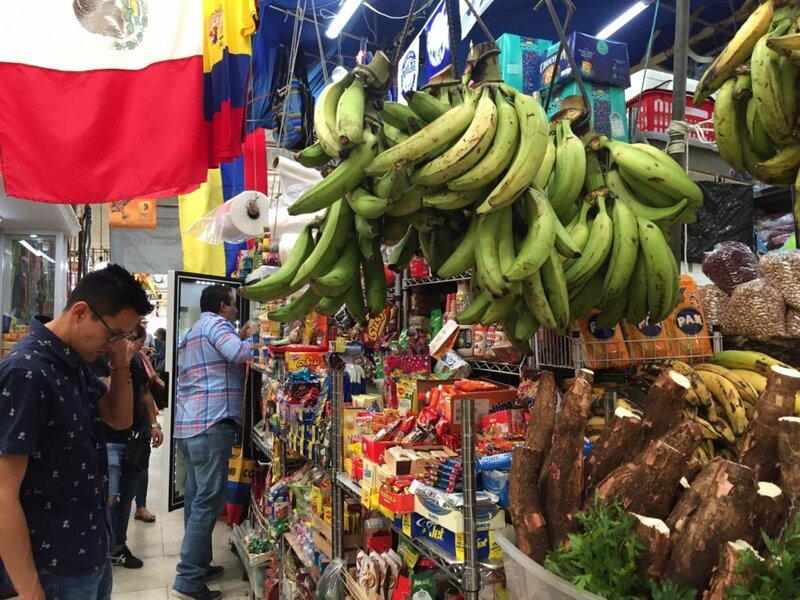 For this report, it was my first time walking through its corridors and being Latin American, it is impossible not to get excited. 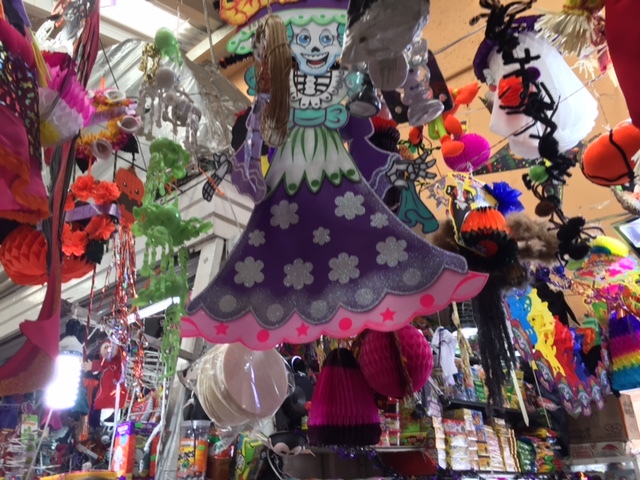 The first thing that catches your attention are the flags hanging from the ceiling and the products that you thought you would never find, here they are. 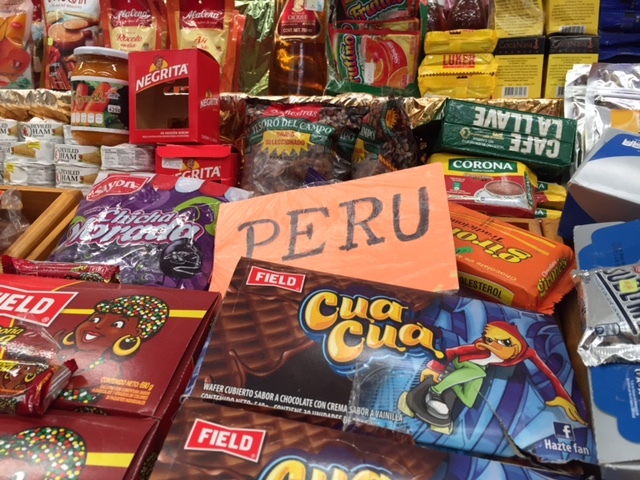 Imagine being far from home and knowing that a Chilean can buy Milo (chocolate milk), or a Peruvian can get Inka Cola (soda drink original of that country). 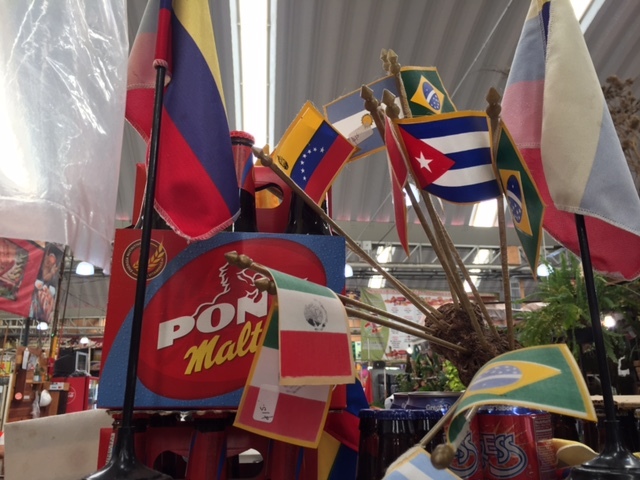 Here you will find many products and ingredients from Cuba, Brazil, Colombia, Venezuela, Peru, Argentina, Spain and even products from Asia. 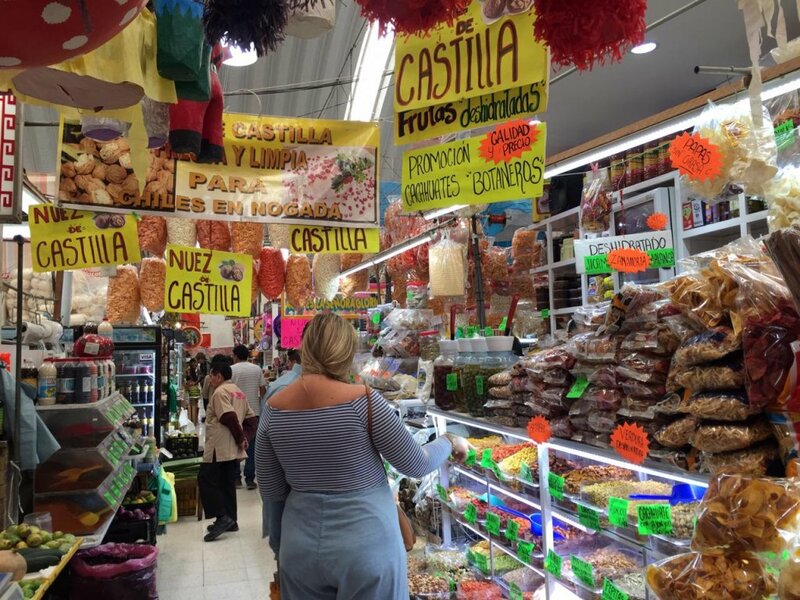 Many of the stores’ attendants are natives of each Latin country and with great kindness they invite you to know and taste their meals. 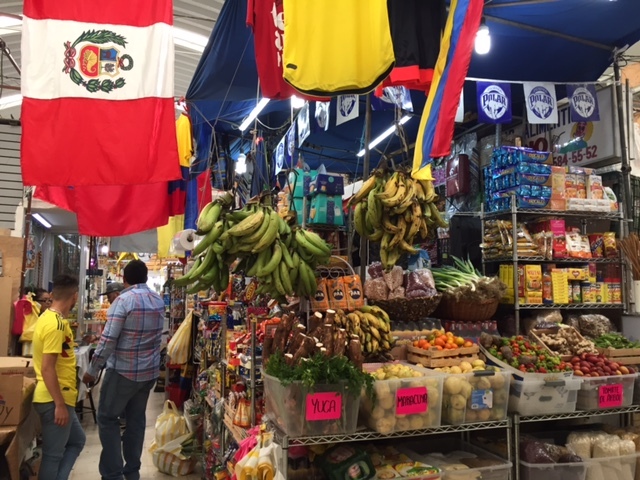 After buying chickpea flour for the Uruguayan fainá, Peruvian yellow pepper, Colombian breads and a Chilean chirimoya, it was essential to try some of the typical Latin American dishes. 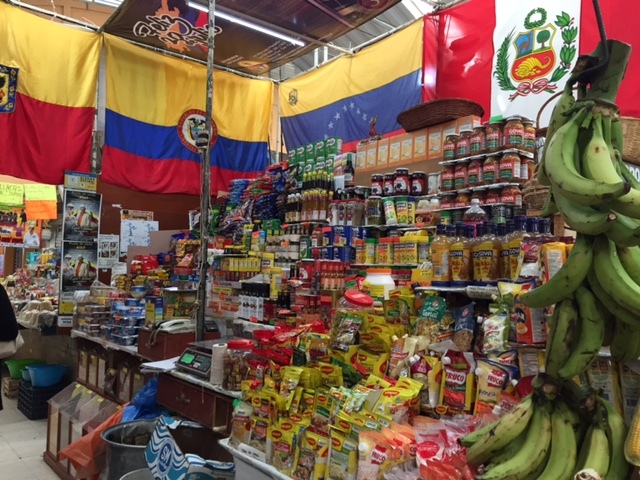 While there is a huge variety, this time we try some Colombian dishes, one of the countries with biggest presence in this market. 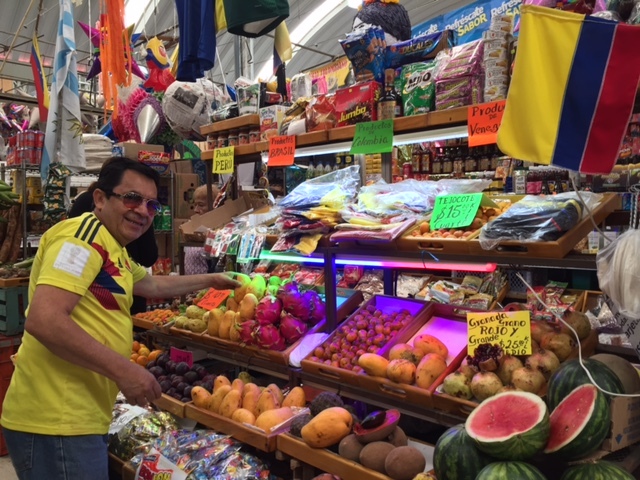 In one of place we found different types of Colombian breads. 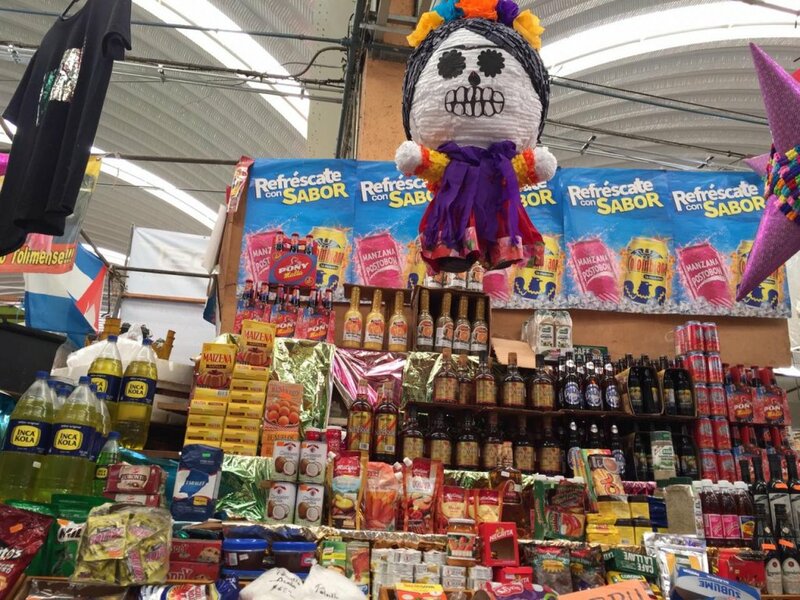 We chose the Almojábanas and the buñuelos. Absolutely delicious. 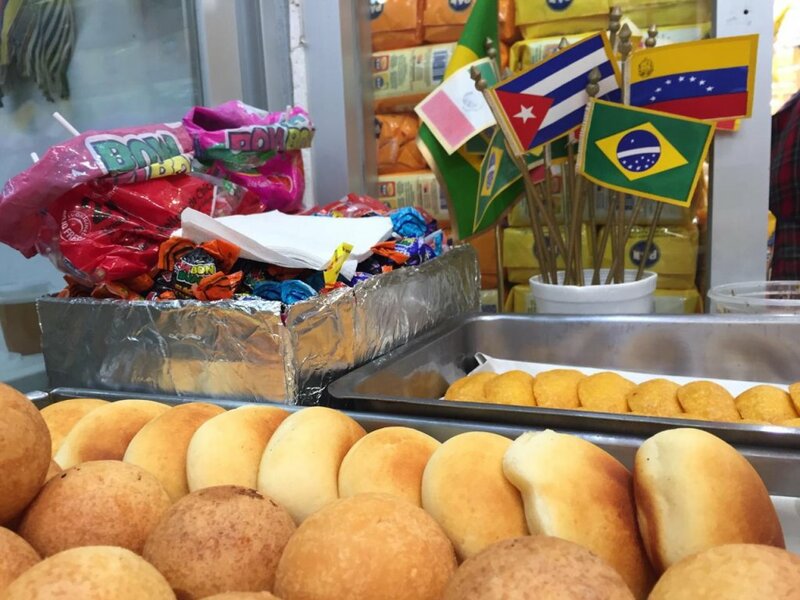 Both are made of flour (of yuca for the buñuelos), fresh cheese, eggs and milk. 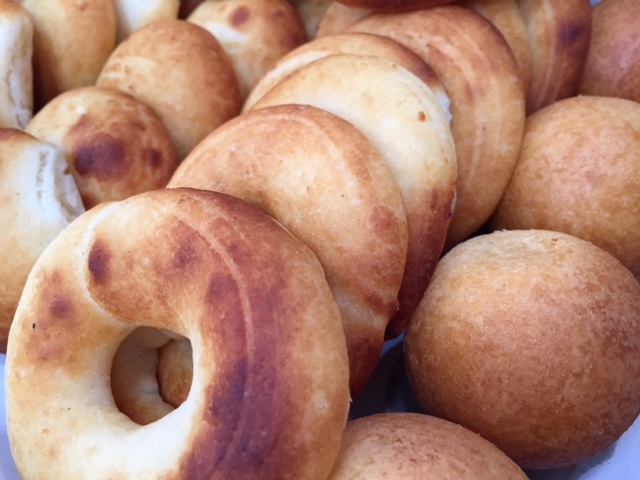 The first of our selection are cooked in the oven and are flat and round, and the latter are fried in the shape of a small ball. 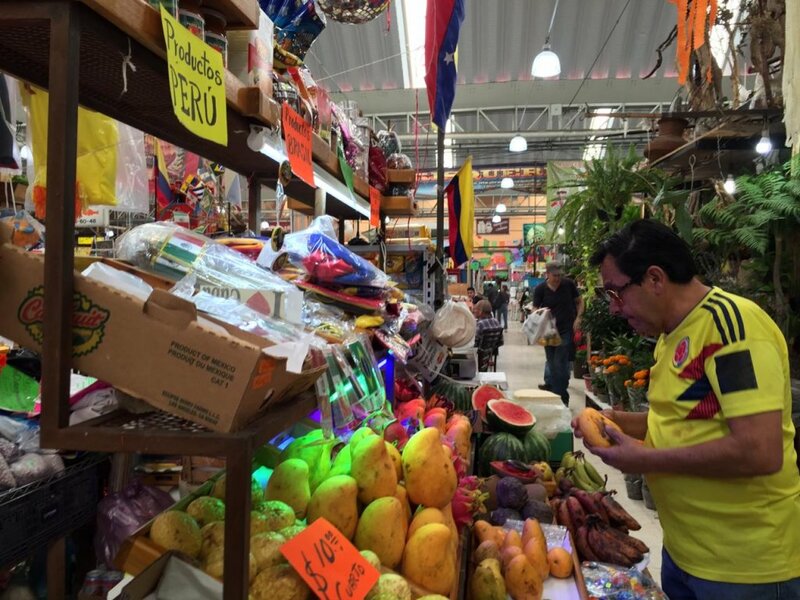 For these Colombian breads we recommend Trio Chardonnay, a delicate and fresh assembly that in the mouth has a great balance between fruit and minerality. 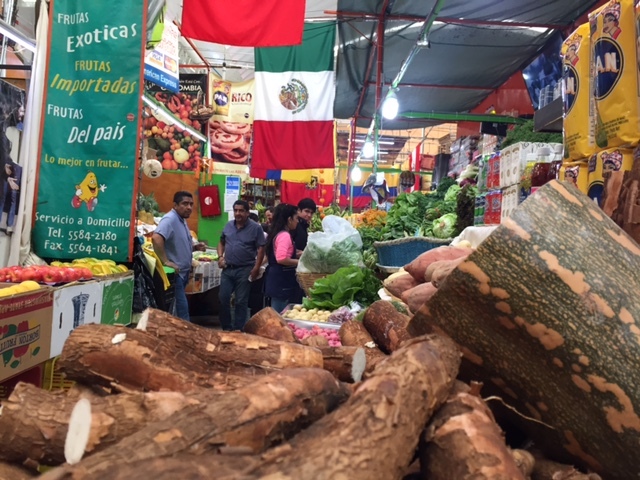 Ajiaco is a soup prepared with three types of potatoes, shredded chicken and corn. 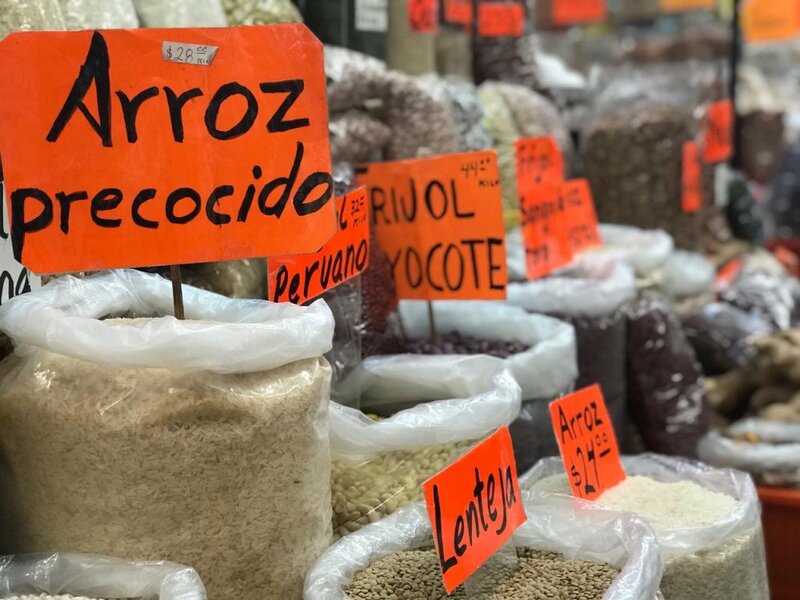 It’s one of the most typical and traditional dishes of Colombian cuisine and is accompanied by rice, cream, cilantro and capers, placed in small clay pots and filled to your liking. A good wine for this recipe is Marques de Casa Concha Merlot, since it has a great structure and at the same time, is balanced and has a silky texture. 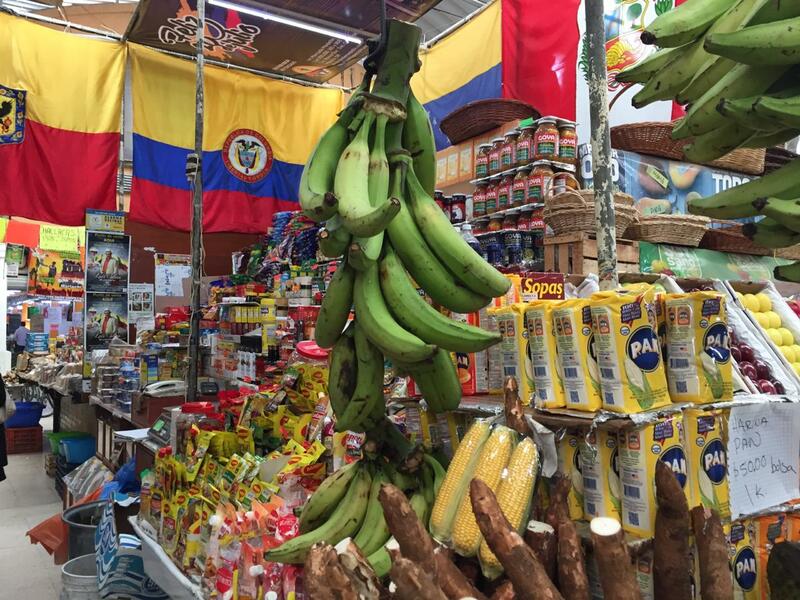 The Bandeja paisa is a typical recipe of the Colombian gastronomy specifically of Antioquia. 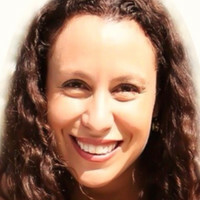 One of its fundamental characteristics is abundance, both in quantity and in variety of foods. 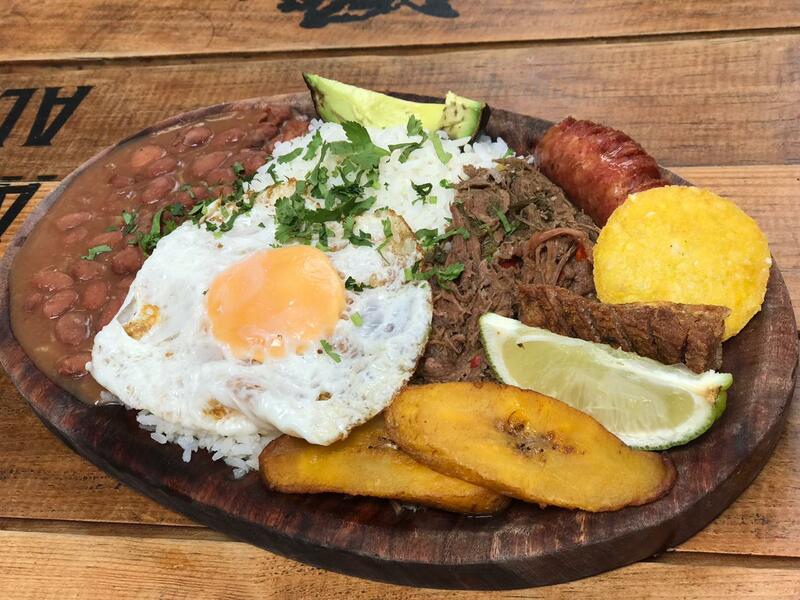 It contains beans, a stew of ground or shredded meat, white rice, fried egg, pork rinds, chorizo, fried slices of ripe plantain, avocado and arepa. For this recipe, Casillero del Diablo Reserva Privada Cabernet Sauvignon is a complex and elegant wine that will go very well with the variety and richness of its ingredients. 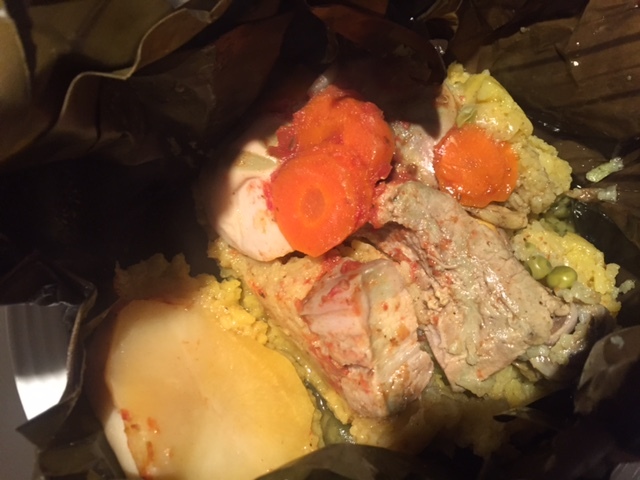 The Colombian Tamal is a preparation based on cornmeal, pork, chicken, potatoes, eggs, onions, garlic, butter and spices. 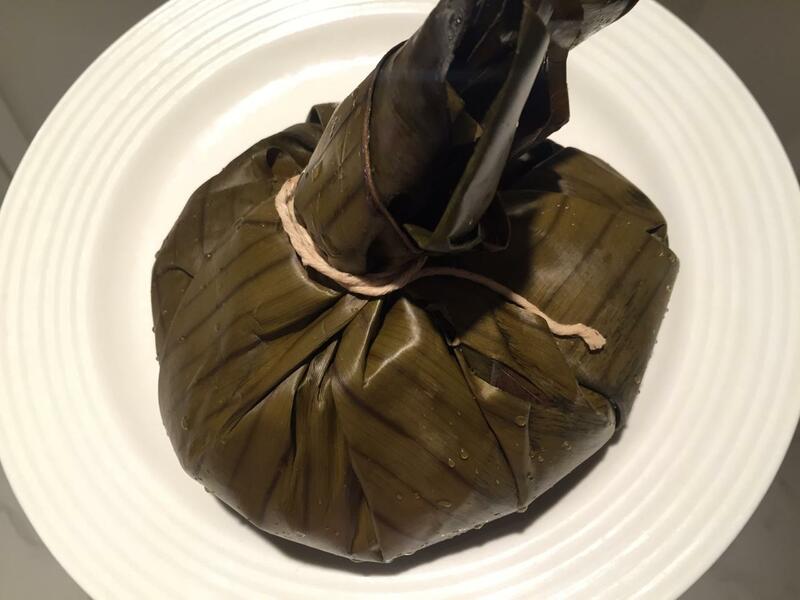 All wrapped in fresh banana leaves and cooked in a water bath. These are bigger than the Mexican version. This great tasting dish will need a mature, balanced wine with firm and round tannins such as Casillero del Diablo Devil’s Collection Red.